SEOUL, South Korea Asiana Airlines announced Monday that it was going to sue a San Francisco TV station that it said damaged the airline's reputation by using bogus and racially offensive names for four pilots on a plane that crashed earlier this month in San Francisco. The National Transportation Safety Board [NTSB] has also apologized, saying a summer intern erroneously confirmed the names of the flight crew. NTSB spokesperson Kelly Nantel told CBSNews.com that KTVU-TV called with the list of names and asked to confirm them. The names were read to the NTSB intern who erroneously confirmed them, as they were read. She said the report seriously damaged Asiana's reputation. 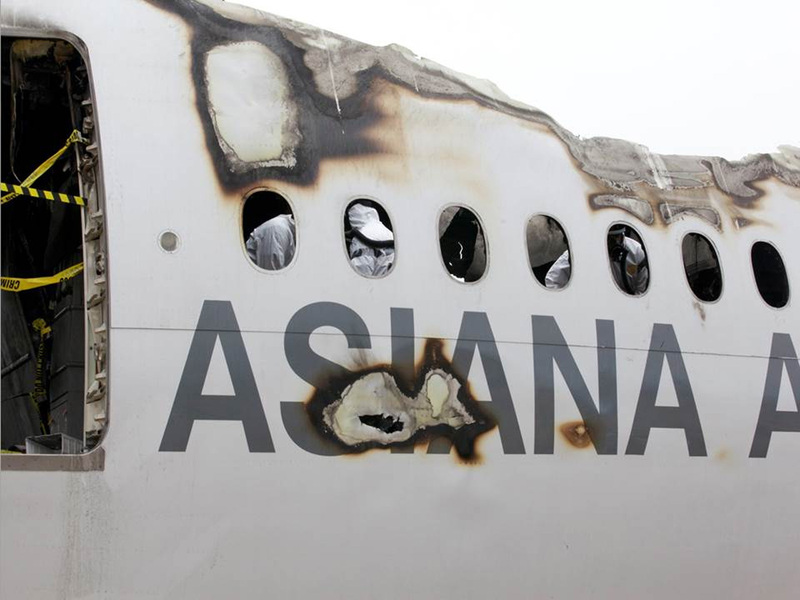 Asiana decided not to sue the NTSB because it said it was the TV station report, not the U.S. federal agency that damaged the airline's reputation. Lee did not elaborate. KTVU-TV did not immediately reply to emails sent by The Associated Press or CBSNews.com seeking comment. The four pilots, who underwent questioning by a U.S. and South Korean joint investigation team while in the U.S., returned to South Korea on Saturday. South Korean officials plan to conduct separate interviews with them, South Korea's Ministry of Land, Infrastructure and Transport said.